Open letter condemning Israeli Supreme Court’s decisions making way for the expulsion of 750-1,000 Bedouin residents in the north of the Jordan Valley. 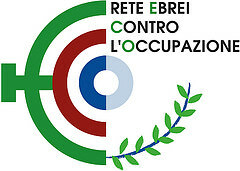 We, the Italian network of Ebrei Contro l’Occupazione (Jews Against the Occupation), call on European Union governments, and especially our own Italian Government, to take a strong position against Israel’s policy of ethnic persecution, which includes the planned expulsion of Bedouins living in the northern Jordan Valley villages of Ein el-Hilweh and Al Maleh to enable the construction of a Jewish town on land located in part of the Israeli occupied West Bank known as Area C, currently under full Israeli administrative and security control. Israel is planning the mass demolition of 300 Palestinian homes, entirely wiping out these communities. We just as well condemn actions that the Government of Israel is planning to put in motion over the coming week against two schools in the East Jerusalem area, built by an Italian non-profit association and devoted to providing Bedouin children with basic schooling, which the Israeli authorities have scheduled for destruction. These illegal and persecutory activities of state of Israel go squarely against international laws and the numerous United Nations rulings specifically addressing the Palestinian area. We call on all European Governments to respond by placing economic sanctions on Israel, forbidding any commercial and financial exchange with that country until it puts an end to its policies of land grabbing and ethnic persecution of the Palestinian people, both in the Occupied Palestinian Territories and in Israel.